Love to take your team to the highest level of your sport? The Final Four is obviously the ultimate goal and destination for college basketball athletes, coaches, administrators, and fans. After surviving the NCAA Tournament’s thrilling, grueling, and emotional gauntlet of March Madness, the final four remaining teams battle it out to determine a champion. 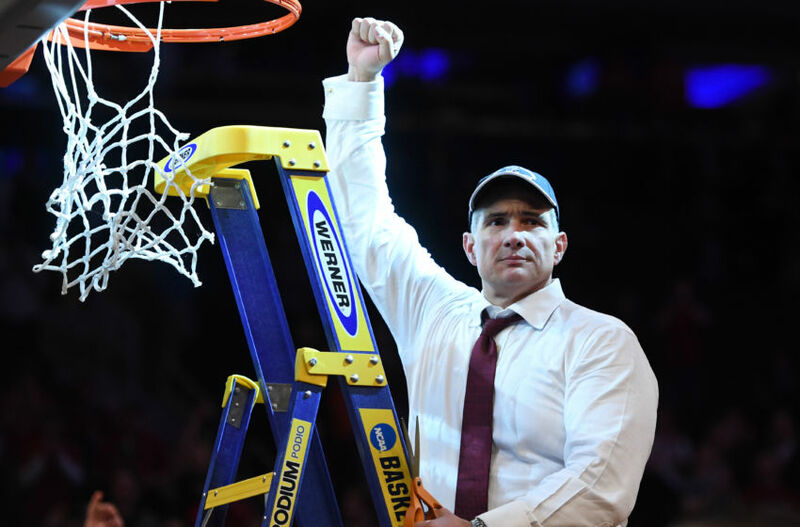 Being truly blessed to work with four schools in Arizona, Michigan, North Carolina, and South Carolina whose men’s basketball teams have advanced to the Final Four, here are 6 Leadership Lessons from the 6 Final Fours I have been a part of to help your team get to (or stay at) the top. As a #3 seed in 1992 and a #2 seed in 1993, most thought Arizona would easily make the Final Four and contend for a National Championship during one or both of the years. Despite clearly being the more talented team, the Wildcats shockingly and embarrassingly lost two consecutive years in the First Round of the NCAA Tournment to overwhelming underdogs - #14 seeded East Tennessee State in 1992 and #15 seeded Santa Clara in 1993. They proved that talent is not enough to advance. Totally exasperated by his highly-talented team underachieving on college basketball’s biggest stage two years in a row, Hall of Fame coach Lute Olson gave me the amazing opportunity to work with his Arizona team right out of grad school. Heading into the 1994 season, the Wildcats once again had strong talent but initially struggled with team chemistry and leadership. Arizona had two supremely talented guards in Khalid Reeves and Damon Stoudamire. Reeves was a quiet yet highly capable senior who could score at will but was often inconsistent. As a junior point guard, Stoudamire was an effective Vocal Leader and the true rock of the team. By encouraging these two guys to consistently assert themselves as leaders in their own unique ways, they stepped up and provided much needed leadership for the team. We also spent a lot of time building the chemistry and culture of the program, which had obviously been somewhat fractured with two embarrassing First Round exits. Arizona’s ’97 Final Four run is the story we tell in our Team Captain's Leadership Manual and Leadership Academies to inspire leaders and show them that leadership can come from all levels, even the most unlikely. Despite having such a young team, the 1997 Arizona men’s basketball team made an amazing run in winning the NCAA Championship. Along the way, the #4 seeded Wildcats beat three #1 seeds (Kansas, North Carolina, Kentucky) to stun the nation and win the championship. While Miles Simon was deservedly named the tournament’s Most Outstanding Player and was pictured on the cover of Sports Illustrated, the team’s key catalyst and leader was ironically a seldom-used, 5’11” walk-on freshman guard named Josh. Since Josh knew that his playing time would be virtually non-existent, he focused on making sure his teammates were confident, focused, prepared, and mentally tough. 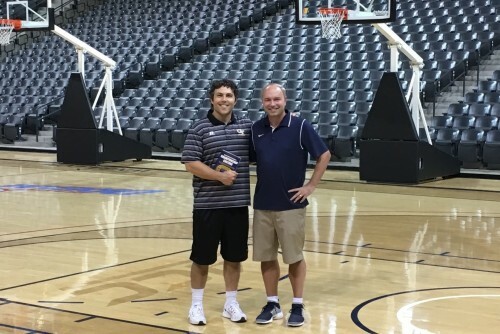 He spent countless hours talking with and rebounding for freshman guard Mike Bibby to help him perfect his jumper. He put in many late nights breaking down tape with the coaches to pinpoint the weaknesses of their opponents so he could mentally prepare his teammates. While he played only a few minutes during the entire season, Josh contributed to the team in so many critical ways that the players and coaches were convinced they would not have won the championship without his leadership. Despite not playing a single second in the championship game against Kentucky, walk-on freshman Josh was instrumental in leading Arizona to a national championship, proving that leadership can come from a variety of levels on a team. Josh, better known as Coach Josh Pastner, is now the head men’s basketball coach at Georgia Tech. The 2009 Tar Heel team was on a 365-day mission to win a National Championship. After an embarrassing 84-66 loss to Kansas in the 2008 Final Four where the Tar Heels started off the game in a gaping 40-12 hole to the Jayhawks, the Tar Heels were compelled to win a National Championship in 2009. They were on a mission and trained hard in the offseason in an effort to get back to the Final Four and prove to themselves and the nation that they were a top team. Tyler Hansbrough, one of the absolute fiercest competitors and best Leaders by Example I have ever witnessed, set the standard and tone for the team with his work ethic and competitiveness. The team also had key “glue guys” in Bobby Frasor and Marcus Ginyard behind the scenes that helped the team gel. The Tar Heels' hard work paid off and they achieved their mission by winning the National Championship in convincing fashion over Michigan State 89-72. What made Michigan's 2013 Final Four team special was its culture. In addition to being a master tactician with his intricate offense, Michigan coach John Beilein knew when he took over the program in 2007 that the culture was an absolutely critical component to building long-term sustainable success with the program. So Coach Beilein and his staff invested the time to determine the kind of culture they knew would help them win on and off the court. They came up with 5 Core Values of Integrity, Unity, Passion, Diligence, and Appreciation and then meticulously recruited talented athletes who fit the kind of culture they wanted. They found several guys like Tim Hardaway Jr. and Trey Burke that others had overlooked in the recruiting process but were a great fit with the kind of Championship Culture they wanted to build. Led primaily by Tim Hardaway Jr. and Trey Burke on the court as well as Jordan Morgan and Josh Bartlestein who provided essential selfless leadership off the court, Michigan made it all the way to the 2013 title game, losing to Louisville, whose title was eventually vacated. For more info on Michigan’s Championship Culture and their 2013 Final Four run, check out our How to Build and Sustain a Championship Culture book. Likely still vivid in everyone’s minds, the 2016 National Championship game between North Carolina and Villanova ranks as one of the most exciting finishes ever – especially for Villanova fans. The game proved the old adage: it’s not over until it’s over. Down three with only seconds remaining, North Carolina point guard Marcus Paige’s double pump three pointer from 25 feet splashed through the net with only 4.7 seconds left, sending Tar Heel Nation into delirium after a furious comeback tied the score. However, after a timeout, the Wildcats Ryan Arcidiacono calmly drove down the floor and dished it to his teammate Kris Jenkins, who hit a huge clutch three-pointer at the buzzer to give the Wildcats the win and the National Championship. Clutch plays in crunch time by both teams make this National Championship game one of the greatest of all time. Last but certainly not least, comes a lesson from the 2017 Final Four. The major takeaway from the Gamecocks' run to the Final Four is this: You don’t need to be the best team in the nation, just the better one the day you play. 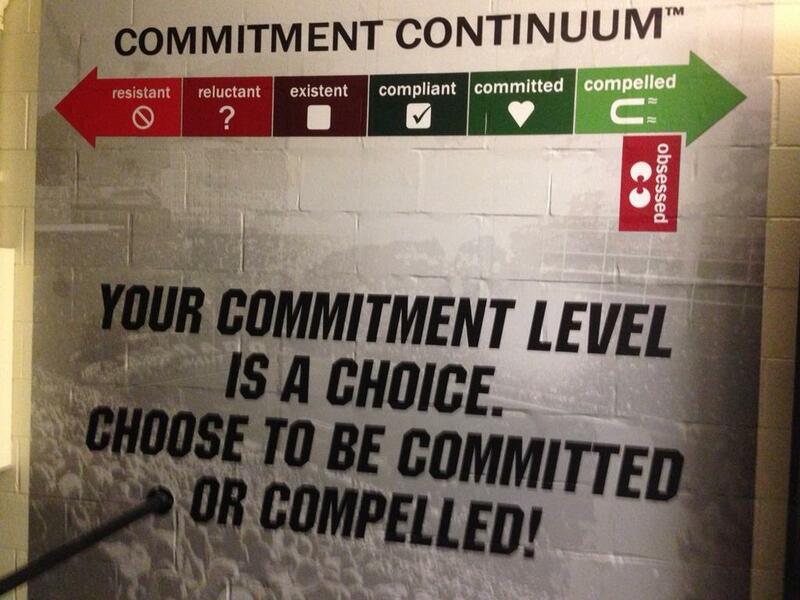 #7 seed South Carolina was no doubt the best example of this principle. Losing four of their last six games before heading into the NCAA tournament, few outside the program thought this team had a realistic shot of getting past the first round. However, with strong belief from coach Frank Martin and Gamecock Leadership Academy leaders Sindarius Thornell and P.J. Dozier, South Carolina focused on playing solid basketball one possession at a time and one game at a time. They got through a gritty Marquette team in the first round, then came back to beat heavyweight Duke, who many thought had a great chance to win the championship. They continued to play great defense and solid basketball and beat Baylor and Florida along the way to advance to the Final Four. By doing the little things well and playing one possession at a time, South Carolina found themselves in the Final Four for the first time in school history, losing in a close game to #1 seed Gonzaga. They may not have been the best team on paper, but they were the better team on game day, when it counts. 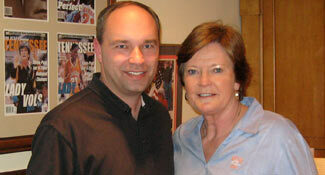 Final Fours are truly special and each team has their own particular path on the Road to the Final Four. So whether you have a highly talented team and are expected to win it all like the '09 Tar Heels or a relative underdog that no one gave a fighting chance like the '17 Gamecocks, use the 6 Leadership Lessons outlined here to give your team the best possible chance of advancing to the highest level of your sport!